2018-2023 is the fifth long-range plan produced by POGO. 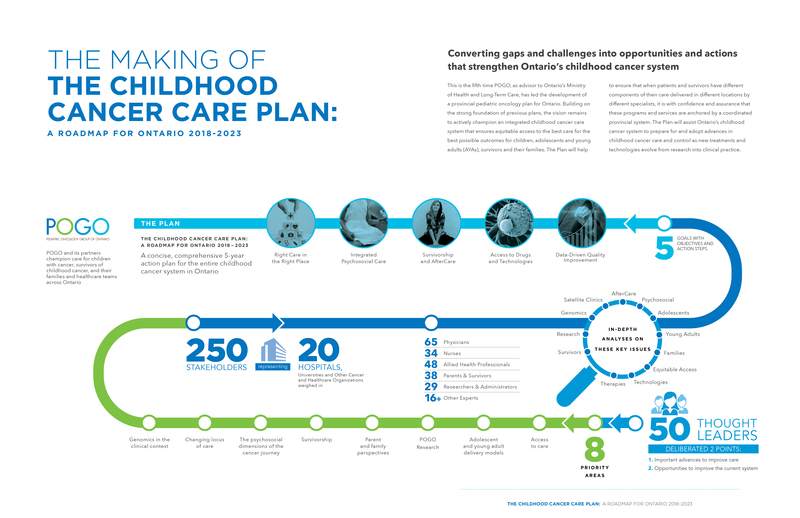 The five goals and five-year objectives reflect key priorities for Ontario’s childhood cancer system identified through in-depth consultations with hundreds of stakeholders. The action steps identified are a starting point we hope all of our partners will embrace, expand on and work in partnership to implement. Together, we can all ensure that when patients and survivors have different components of their care delivered in different locations by different specialists, it is with confidence and assurance that these programs and services are anchored by a coordinated provincial system. 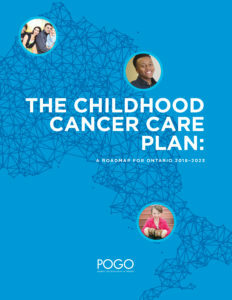 Read the POGO Surveillance Report for data on the incidence of childhood cancer, childhood cancer survival and mortality, and the prevalence of childhood cancer survivors in Ontario.